This can sound compelling, but let’s look closely. If most of the working class today do not want to end capitalism and are not willing to join an anti-capitalist union then we don’t need to worry about how to keep the organization democratic if large numbers of workers join, because it simply won’t happen. The problem dissolves. Something will have to change before lots of workers start wanting to join a revolutionary union. One possible change is that more workers will decide they want to end capitalism. The problem dissolves again. Another possibility is that many workers will begin to see some benefit in IWW membership, and they pretend to agree with the Preamble in order to get those benefits. That’s possible. Sincerity is hard to test. People might lie. The same kind of problem occurs in any organization. Currently unions often face the problem of having members who aren’t active participants and who lack a culture of solidarity, so that members crossing picket lines and don’t stand with their fellow workers. There’s no easy solution to any of this, it requires ongoing effort. We should also organize ourselves so that the benefits of IWW membership are linked to activities that deepen people’s commitment to revolutionary unionism, and to an important extent we simply have to trust each other. Part of the problem with the hypothetical scenario, “What if lots of workers join, when they don’t actually agree with the Preamble?” is that it treats people as fixed. Many workers today don’t want to end capitalism. If it’s believable that people would want to join the IWW in large numbers, then we should not assume that their beliefs will stay the same. At the same time, we shouldn’t assume that people’s commitment to the values expressed in the IWW Preamble will stay the same. People are dynamic, which means that we face a more serious problem than “What if workers only pretend to want to abolish the wage system? !” Namely, people might sincerely agree with the Preamble but change their minds later, or they might agree but decide that they don’t want to act on that agreement. They might think one thing in a moment of anger or desperation, but then cool off and change their minds. Many people who have had radical beliefs for many years have thought a bit about what their lives would be like if they had different beliefs and commitments and have seen fellow radicals waver more strongly, and sometimes fall away. Life under capitalism is hard to endure and radical views sometimes make it harder. This problem appears in non-radical unions as well: people get tired of the work, or stop agreeing with the union. Here too there is no simple solution. The IWW will continue to face real problems with recruitment, retention, and member education for the foreseeable future. We can respond to these problems in better and worse ways, and radical critics who reject revolutionary unionism don’t help us to respond better. If anything, they encourage worse responses. Some people will cool off and move away from the organization sometimes. We should prepare for the consequences this will have. Among other problems, we want to avoid a situation where people become only paper members. One thing the IWW does to prevent this is heavily encouraging face-to-face interaction with delegates in order to join and to stay members. This encourages the organization to be financially dependent on having real members, rather than paper members. We should have longer conversations about how to reduce the frequency and consequences of people cooling off. Many people who have held radical beliefs for a long time have managed to take the heat of their outrage at the world, their passionate relationships with other radicals and experiences of collective struggles and combine it with ideas, values, and stories in order to create their own internal heat source, so they are less likely to cool off. We need to figure out how to make this happen as often as possible for IWW members, so that as many members as possible will own internal revolutionary unionist heat. One important aspect of this is that joining our organization is or should be an interactive activity. Joining a union can and should involve a frank discussion with a member about why the organization exists, about the organization’s core values, why the person is joining and why the current member is involved. This is a conversation between two people about their understanding of the world now and of the world they would like to see. 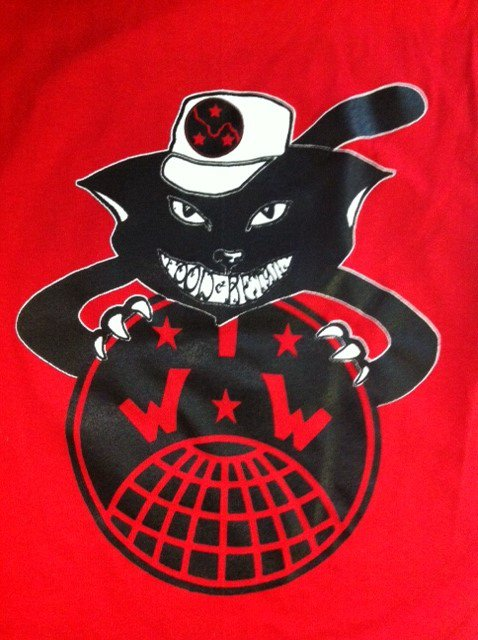 This way, joining the IWW is a dynamic activity that shapes the direction people move in after joining. After joining, there can and should be educational components of membership in an organization, including written materials, discussions, various parts of the life and culture of the organization, and, above all, relationships with other members. All of this helps prevent the situation described in the hypothetical scenario above, where workers join the IWW but don’t believe in the Preamble. Through these kinds of activities, we practice revolutionary unionism in a way that is sincere, democratic, and continues to become a more powerful presence within the working class.